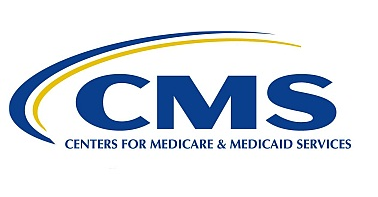 SoftDev proudly announced today that the Centers for Medicare & Medicaid Services (CMS) awarded SoftDev its first task order on the critical Measure Instrument Development Support (MIDS) IDIQ, the Alignment of Quality and Public Reporting Programs and Websites Support. As the prime contractor on this 5-year effort, SoftDev will support ongoing efforts by CMS to align and advance existing quality and public reporting programs and to support the Agency’s efforts to improve and bring synergy to the websites that publicly report information on the quality of hospitals, nursing homes, dialysis facilities, physicians and other practitioners, and home health agencies. By spearheading this effort, SoftDev will continue to demonstrate our commitment to the meaningful delivery of data to CMS, its stakeholders, providers, beneficiaries, and families. We will also expand our portfolio of capabilities to support quality measurement efforts of CMS across settings and programs, serving to maximize the positive impacts to the quality and value of healthcare. “SoftDev is incredibly proud of the team and solution we assembled to execute this project successfully for CMS and are already hard at work. As a new MIDS prime, we are honored to receive this award and work closely with CMS, our partners, and stakeholders,” said Robin Kaiser, President at SoftDev. Founded in 1999, SoftDev a leading healthcare IT company. The firm is an SBA-certified HUBZone and Economically Disadvantaged Woman Owned Small Business (EDWOSB).